Breathe Safe International are specialists in respiratory protective equipment (RPE). The company is one of the world wide leaders in providing bespoke solutions for hazardous breathing environments. 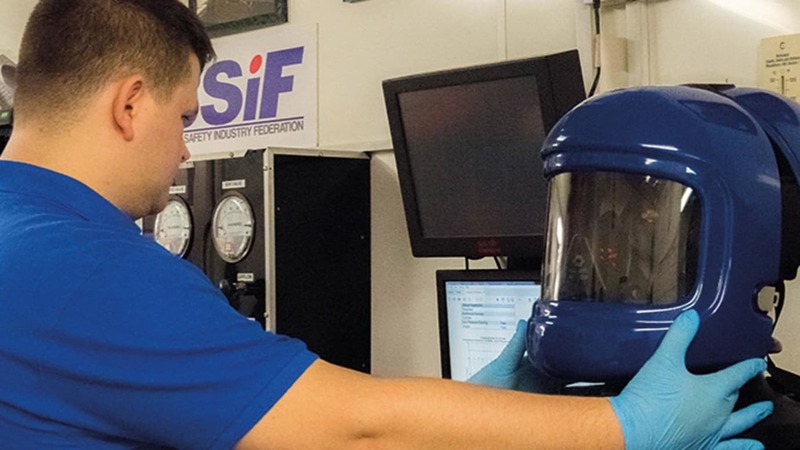 With full services provided, from manufacture and supply of equipment, aftercare, maintenance and training, Breathe Safe International offer the complete package to ensure your breathing safety in the most hazardous of environments. With user safety as our number one priority Breathe Safe International offer full tailored manufacturer training packages aimed at your industry sector. With our experience ranging from the fire and rescue service to inert entry catalyst handling our training is based around real life potentials. Training is offered at the client's site or at our purpose built training facilities. Training packages cover, but are not limited to, breathing apparatus instruction (SCBA, single line systems, RPE), Sentry 4 use and limitations confined space working, field maintenance training and full service and maintenance training. Investing in our training is investing in your safety. Breathe Safe International Limited are able to offer inspection and testing of respiratory protective equipment and associated personal protective equipment (PPE) by our authorised engineers this ranges from harnesses used for fall protection to tripods and rescue equipment. Please contact the Breathe Safe International technical team for testing and inspection details. Ensuring employees health and welfare and maintaining compliance of health and safety is our mission. A full range of quantitative, evidential face fit testing is available from our trained, experienced staff and offered at the client’s site or at our purpose built testing facilities. Our dedicated service engineers are qualified across several other manufacturers breathing apparatus systems and respiratory associated equipment and are therefore able to offer an extensive maintenance and repair service. To ensure your continued compliance and safety a range of bespoke aftersales service packages are available, from pre use and post use inspections through to Sentry 4 annual and 5 yearly scheduled servicing. Our trained and experienced service engineers are available around the clock to meet your operational needs on an international level, with the flexibility to carry out maintenance and repairs at your site or with the use of our service workshops across several continents. All repair and service work is fully evidentially tested and recorded for compliance, ensuring the reliability and life of your equipment. Breathe Safe International are a supplier of quality assured safety and personal protective equipment. Brought to you through a team of qualified and experienced technicians ensuring quality and safety remains at the forefront. With actual hands on experience of the industries we serve we ensure excellence through compliance, commitment and continual improvement.